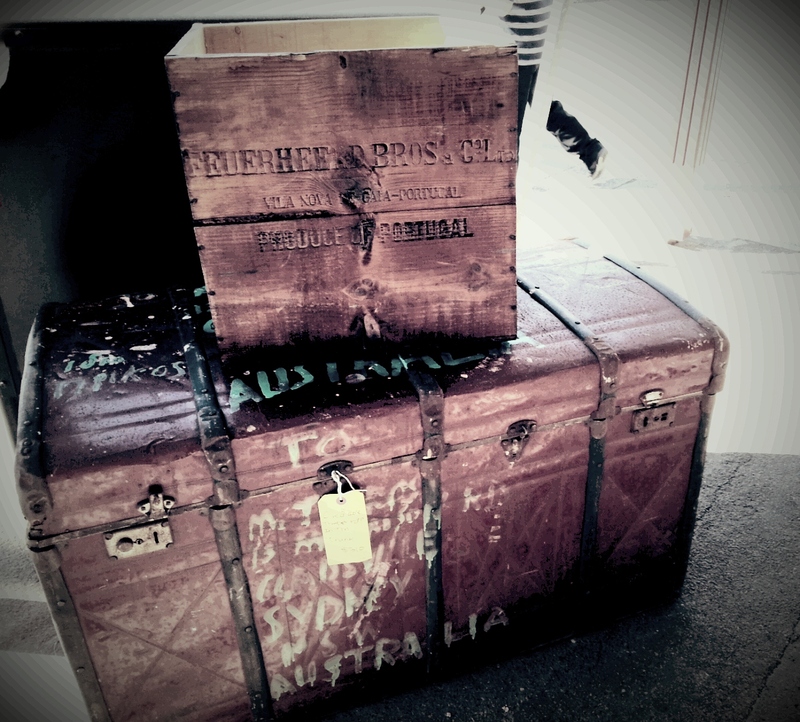 My first glimpse of this wonderful wooden crate and steamer trunk, I just instantly knew I had to have them. However, it took a few weeks before I managed to convince Jeff they will be worth every cent because they will do a great job as coffee tables or storage boxes. 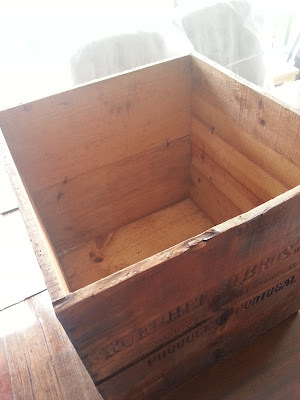 I know he appreciates my love for the vintage and the old but as usual his main concern was having no space to store them while the house is still in a beautiful mess due to the reno’s. 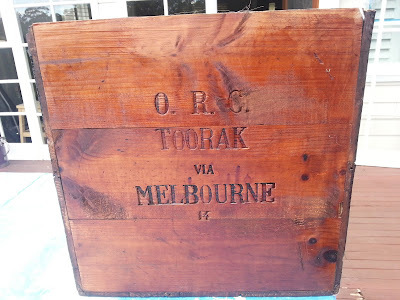 At first, I purchased the wooden crate because it was visually beautiful but as days went by, the branding on the wooden crate has raised my curiosity to know a bit of more of its history but importantly its age. And so I searched and searched on the web...and am still searching for an answer. Below is a response I received from Sogevinus Fine Wines after I inquired about the history of Feueheerds Bros. It's all still a bit vague to me and doesn't quite answer my question. 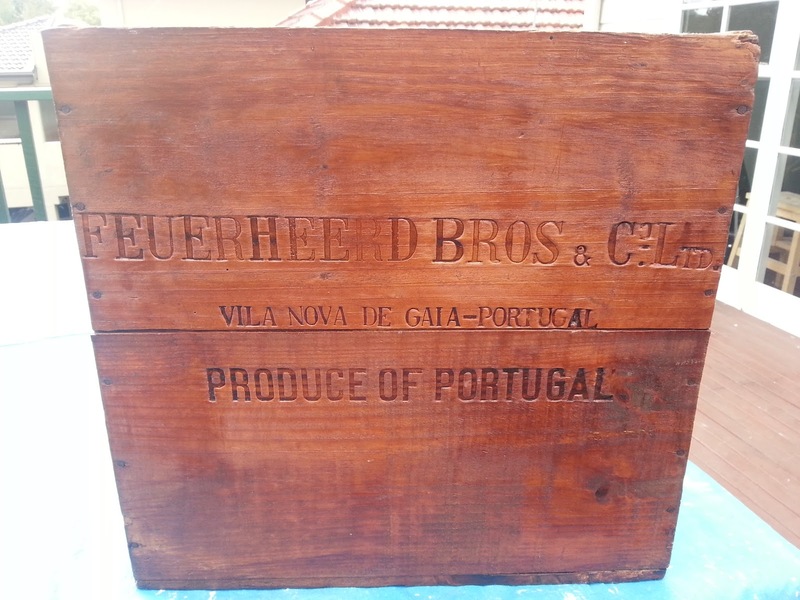 The Feuerheerd’s came from Hamburg, Germany, to set up trading, mining and wine interests in Porto and Viana do Castelo in the beginning of the 19th century. 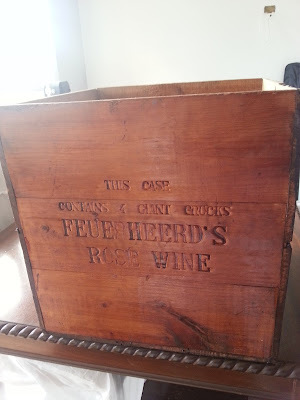 Since 1815, under the family name Feuerheerd Brothers, the company was shipping port. 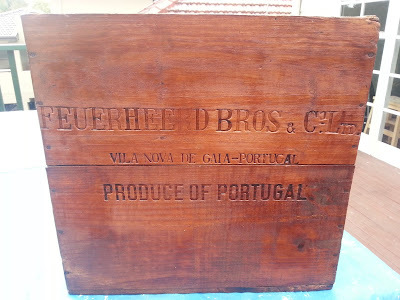 With the 1930's depression, and Albert Feuerheerd’s untimely death (the company´s founder), the family saw the need to dispose of the Shipping House, Feuerheerd Brothers and in 1933 it was sold to Barros & Almeida, a very well established in Port trade with other brands like Porto Barros, Hutcheson, Vieira de Souza and The Douro Wine Shippers and Growers Association. In 1996 Feuerheerd Bros was merged with Hutcheson to became Hutcheson Feuerheerd Associates but still belonging to Barros & Almeida. Finally, in 2006 when Sogevinus bought Barros Group, this company was included in the acquisition but the brand was practically extinguished. Feuerheerd and the group, now focuses its activity on its major brands (Barros, Burmester, Cálem and Kopke). We hope that this small explanation help’s you to get to know a little about Feuerheed’s brand. What's your thoughts on how old this crate may be?